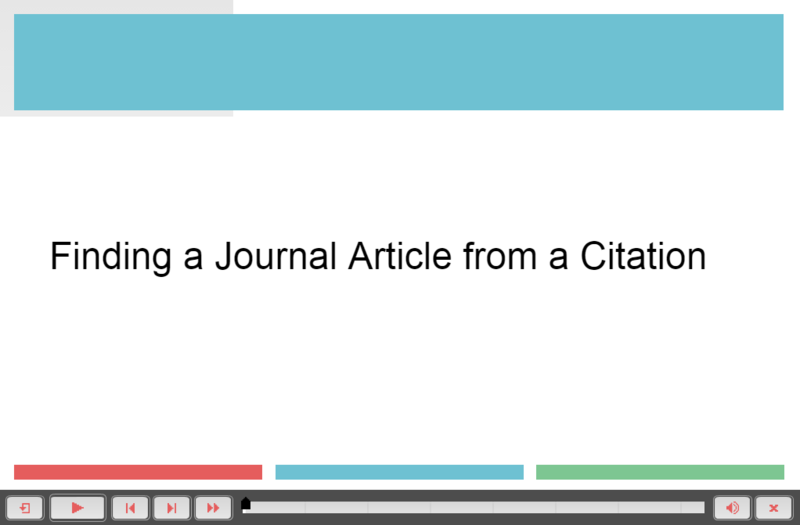 Sometimes you may need to find a journal article when all you have is the article’s citation. This tutorial will help you get the full text of the article. Many academic journal articles are not available for free on the Internet. You must use the Waidner-Spahr Library’s web page to access journals through our secure subscription services. Finding a Journal Article from a Citation by Dickinson College is licensed under a Creative Commons Attribution-NonCommercial-ShareAlike 4.0 International License.